Is it normal for these items to vary in color? Yes - due to the natural characteristics of the material, you may notice some slight color variations throughout your item. This is to be expected when incorporating natural materials into the manufacturing process and should not be considered a defect. 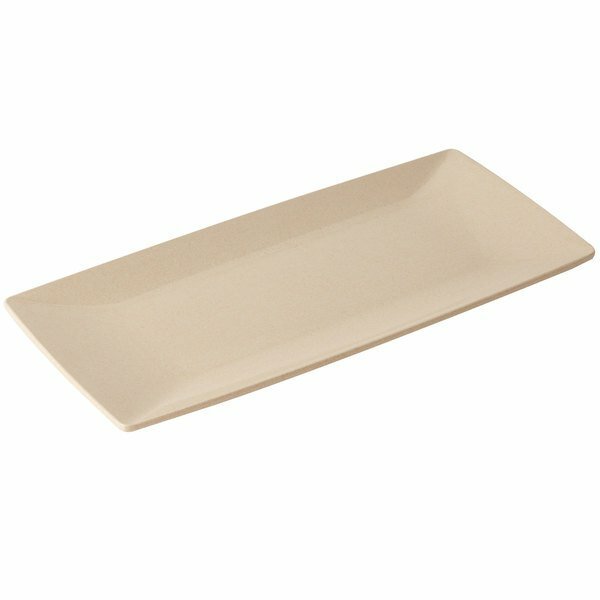 This GET BAM-1287 BambooMel rectangular display tray makes it easy to serve your signature appetizers in style, without the threat of breakage! This display tray is crafted from bamboo fiber and melamine, creating an eco-friendly dinnerware that can be used for buffets, banquets, restaurants, and catering events. Try using this tray for appetizers including meatballs, cut sandwiches, and dip. You can also use this tray for bite-sized desserts including cookies, macarons, or mini cheesecakes. 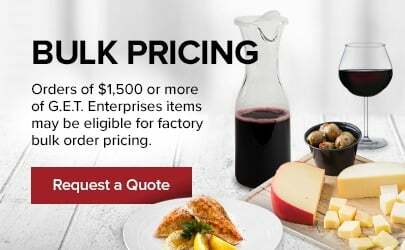 This bamboo melamine dinnerware from GET Enterprise provide customers with a stylish and durable product that ensures long-lasting use. Its beige, neutral tone will suit any establishment, while its melamine construction makes it extremely durable and break-resistant. The easy-to-clean material is dishwasher safe and dries faster than the standard dishware, making clean up a breeze. The sturdy tray can also endure the rigors of everyday use at any catering event or buffet. Made with a lighter, more durable material than china or porcelain, this melamine display tray still provides a similar look and aesthetic that will please your customers.